Our adventure begins with Austrian author, Felix Salten, who penned the 1928 book, Bambi, A Life in the Woods, which Walt Disney adapted into an animated classic in 1942. Bambi was not Salten's only venture into the realm of the deer prince's woods. Two subsequent books followed: Perri: The Youth of a Squirrel (1938) and Bambi's Children (1939). Perri introduces us to a female red squirrel of the same name, her mate Porro, and the trials and tribulations they experience together in their woodland home. Walt Disney's connection to Salten's first installment, Bambi, traces back to the early 1930's. 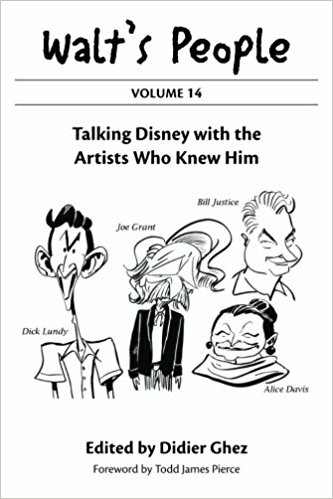 According to Disney biographer, Neal Gabler, Disney was first introduced to the story by M. Lincoln Schuster of the Simon & Schuster publishing house. Schuster knew at once that Walt Disney was the one destined to adapt Salten's story into an animated film. Disney passed, however, as he knew his studio animators were not ready to undertake such a monumental project. This, in the end, would prove wise on his part. In the meantime, MGM director, Sydney Franklin, was interested in making Bambi into a live action film, and obtained the rights to the story in 1933. He went as far as to cast voices for the animals, but in time realized he did not have the means necessary to do the film justice. Franklin, like Schuster, knew it was a job for the Walt Disney Studio. Throughout the 30's, Disney's artists had honed their skills to a degree that led to the success of a number of animated shorts and the culmination of Snow White and the Seven Dwarfs in 1937. Disney was ready to work with Franklin and decided to put Bambi into production. The rights to Salten's Bambi were obtained by Disney in April of 1937 and in time Perri: The Youth of a Squirrel and Bambi's Children as well. Where Bambi is concerned, the rest is history, but not so for Perri. Seal Island (1948) would be the first nature documentary in Walt Disney's True-Life Adventure series. Twelve more in this series would follow, including: Beaver Valley (1950), The Living Desert (1953), The Vanishing Prairie (1954), and The African Lion (1955). 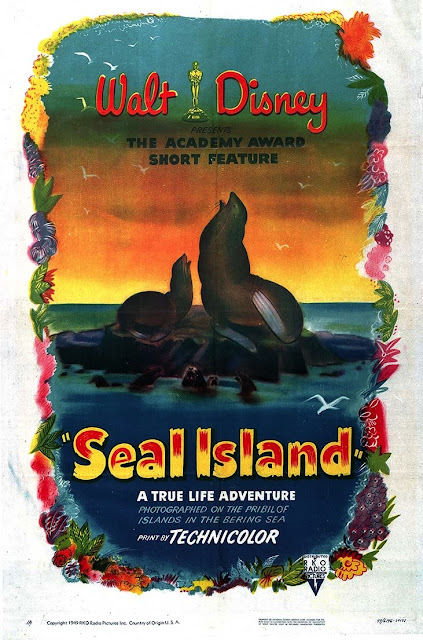 It's important to understand that a film like Seal Island had never been done before. 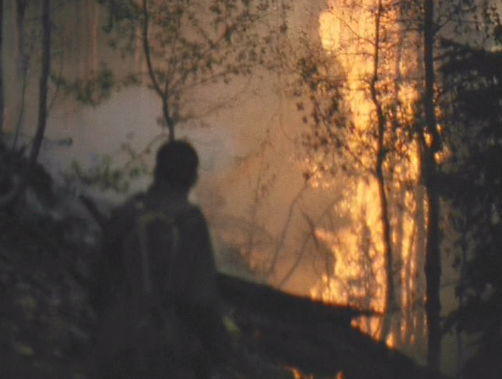 In time, however, these nature films began to feel repetitive in theme and nature. Disney biographer, Michael Barrier wrote, "Although Disney made three more True-Life features [after The African Lion], this was not an avenue that he could pursue very far, and so he began to turn toward…fiction films with real animals." Disney's nephew, Roy E. Disney, in an interview with Les Perkins said, "We all wanted to evolve beyond this kind of formulaic place that we were in. That was why Perri, among other things, was an attempt to broaden the scope of what we could do with this kind of storytelling." 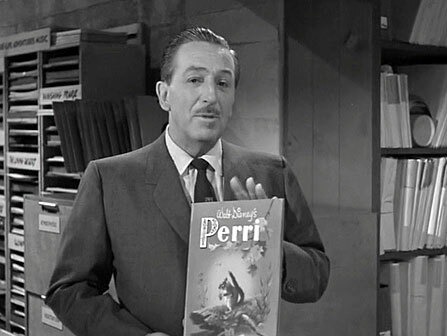 The story of Perri provided Walt Disney with the material he needed to take his True-Life films in a whole new direction. 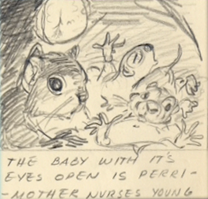 Rather than showing the audience the wonders of nature in documentary form, Disney's Perri would consist of footage from nature edited it in a way to match a screenplay very loosely based on Salten's original story. 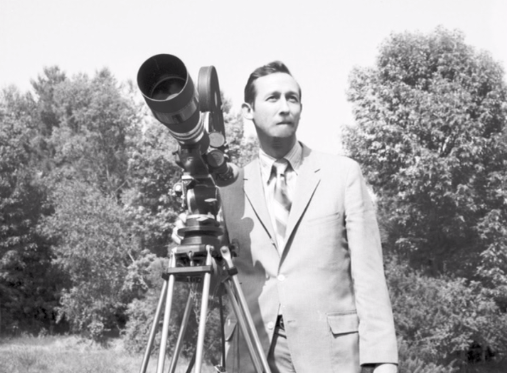 Co-director of the film, N. Paul Kenworthy, Jr., who had proven his worth as nature photographer on previous True-Life Adventures, said, "Walt always had Perri in mind, but didn’t come to grips with it, how to attack it. Then he found out that I liked doing story material with wild life…and that’s how we got started on this True-Life Fantasy called Perri." It’s a very unusual story; different from anything we’ve ever done. And to bring it to the screen we wanted to create something entirely new in motion pictures. We would combine the real and the unreal. Nature’s truth with the fantasy of fiction. In short: create a True-Life Fantasy. 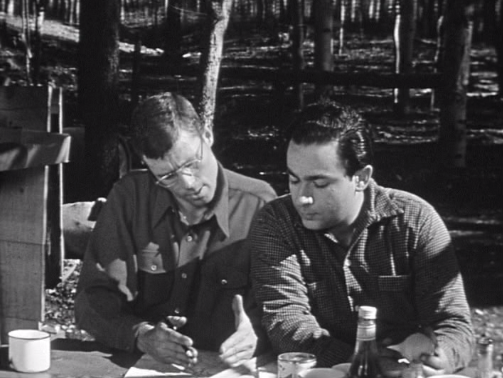 Alongside Ralph Wright in the story department was producer Winston Hibler, known especially as "the voice" of the True-Life nature series. Hibler had worked at the Walt Disney Studio since the War years, and was chosen by Walt Disney himself to be the narrator of the nature films. 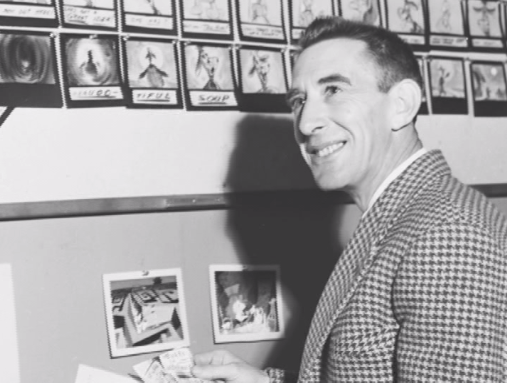 His family shared in a Disney documentary that Hibler refused to take payment for being the narrator of the films, and felt that his various production contributions were sufficient. To add to the many hats that Hibler wore around the Studio, he was a storyman and dialogue director on classic animated films such as: Cinderella (1950), Alice in Wonderland (1951), and Peter Pan (1953). Apart from fleshing out the story elements of this first True-Life Fantasy, another major task was enlisting individuals to go out into the field to capture animals in their element. To head up the camera crew was nature photographer N. Paul Kenworthy, Jr. The other photographers on his team consisted of: Joel Colman, Walter Perkins, William Ratcliffe, James R. Simon, John P. Hermann, David Meyer, Warren E. Garst, Roy Edward Disney, and Hugh Wilmar. The ad's reference to a certain "Utah...company...doing a nature film for a Hollywood movie cartoon studio" under the name of Wasatch Enterprises was quite amusing to this author. 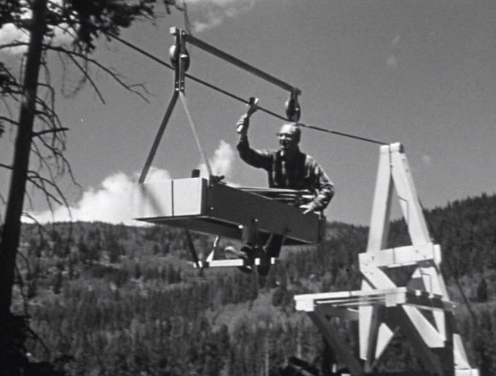 According to animal trainer and background painter, Boyd Shaffer, in an interview with Disney historians Jim Korkis and Didier Ghez, the Studio created this sub-company to ward off unwanted attention drawn by the Disney name during the production of Perri (Wasatch refers to the mountain range of the same name located in the Uinta National Forest). Disney's Wasatch Enterprises was located on 5280 South Main Street in the Salt Lake Valley of Murray, Utah according to McKayla Herron of the Research Center of the Utah State Archives. But, what about the need for tame pine squirrels? 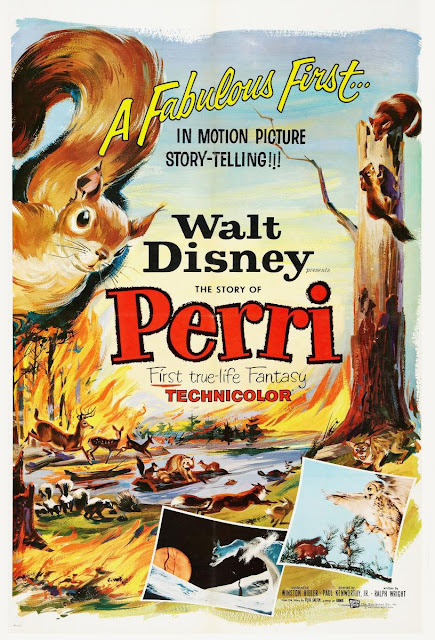 Well, it may come as a disappointment to admirers of Perri, but the film's star was many squirrels according to Roy E. Disney. 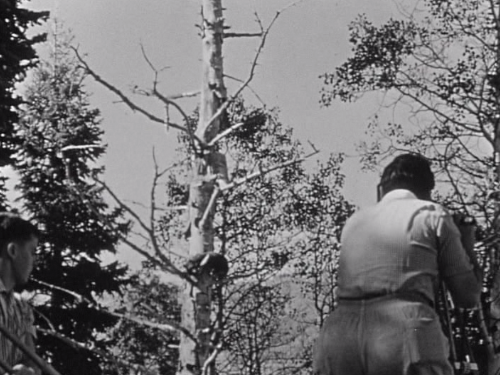 It became quite apparent to the camera crew that filming wild pine squirrels exclusively would prove quite difficult. As a result, according to co-director Kenworthy, initial shooting of squirrels was delayed for months. 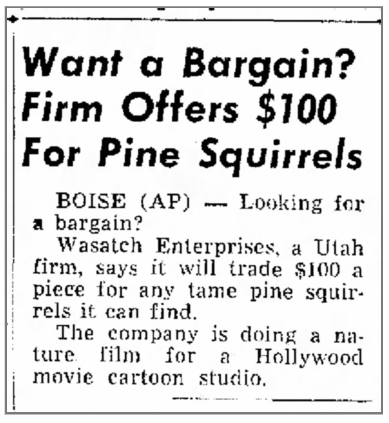 So, there was a desperate need to acquire pine squirrels that were - or could become - accustomed to human contact. 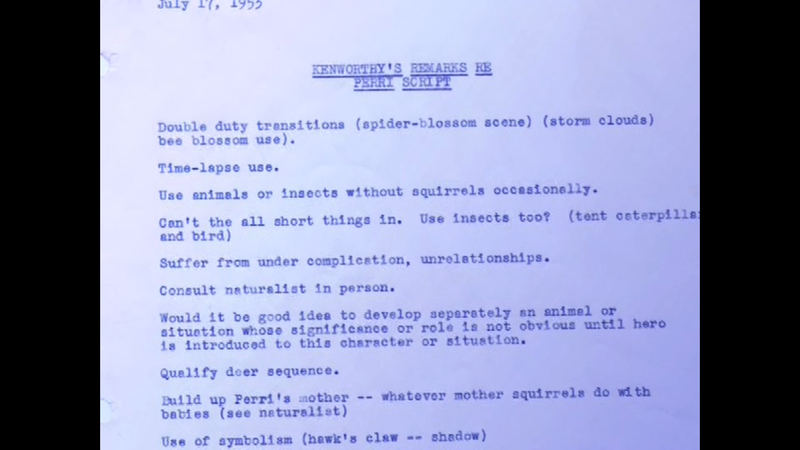 "In the course of shooting Perri," Kenworthy shared with Les Perkins, "in order to raise squirrels happily…we had people assigned to raise the baby animals and feed them with eyedroppers and take care of them…” To ensure that squirrel footage could be obtained down the road, Kenworthy knew that a controlled setting was critical. "I had to find a large building that I could put a forest in and I decided on Salt Lake City…because it was fairly close to the Wasatch Mountains, and…easily accessible from Los Angeles," shared Kenworthy. The building used was an abandoned smelter plant out of Murray, Utah. Comparable to the size of a sound stage, many sets were constructed to accommodate the various settings included in the film's screenplay. Art director, Art Sewell, played an important role in designing the interior sets, right down to the creation of faux leaves on trees. It's easy to surmise that squirrels during the course of shooting in these controlled settings were killed by their natural predators, and that is true. One of the scenes in the film involves the villainous marten killing a squirrel portraying Perri's heroic father. This use of animals for the sake of capturing footage is an unsettling fact certainly classifiable as animal cruelty by today's standards. 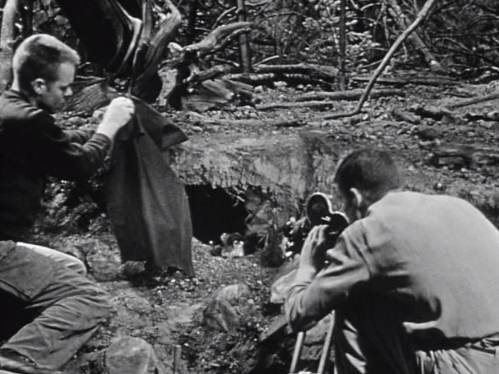 The photography of the animals in the film - especially the squirrels - was extremely difficult given the camera equipment utilized, which would be considered primitive by today's standards. 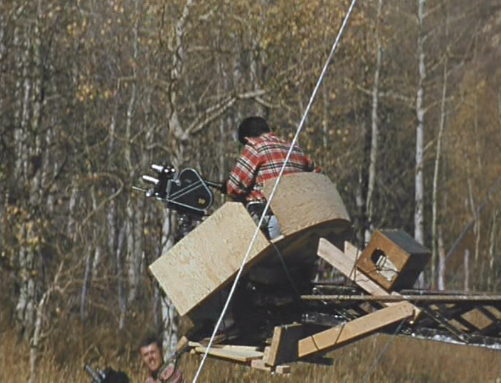 Not only were the cameras, tripods, and various other equipment bulky, but extremely heavy to haul around in nature. 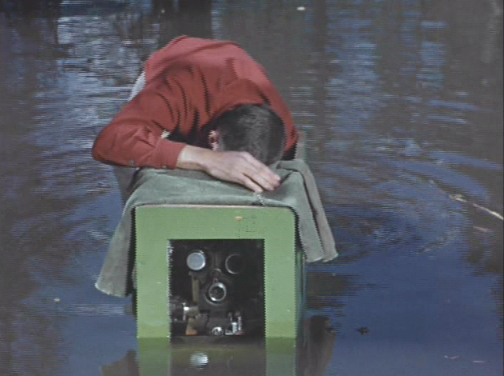 According to Roy E. Disney: “We shot 250,000 feet of 16-mm film over a period of...years, to get a 2,000-foot movie.” Disney continues: ”Part of the reason we shot so much footage was that probably two-thirds of what we ever shot was out of focus.” The cameras at the time could only shoot off so much film before it was time to stop and reload. 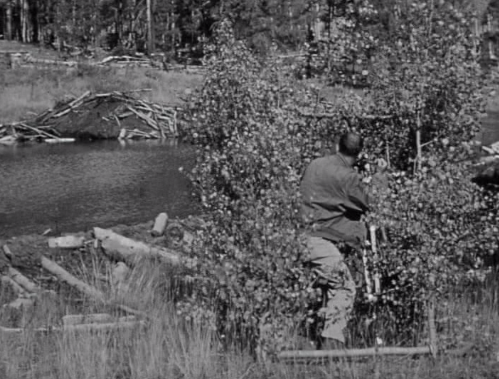 One can imagine how much film was shot before usable footage of animals in nature was captured. 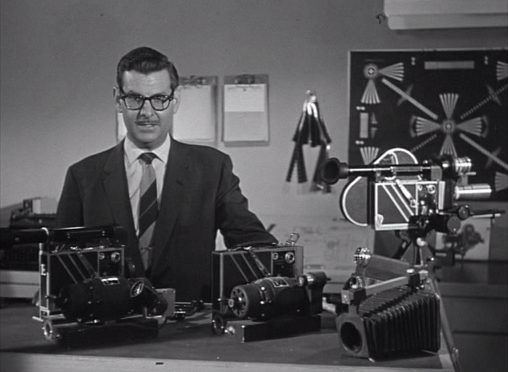 Many innovations in photography were made by N. Paul Kenworthy, Jr. himself given his expertise in camera technology of the time. 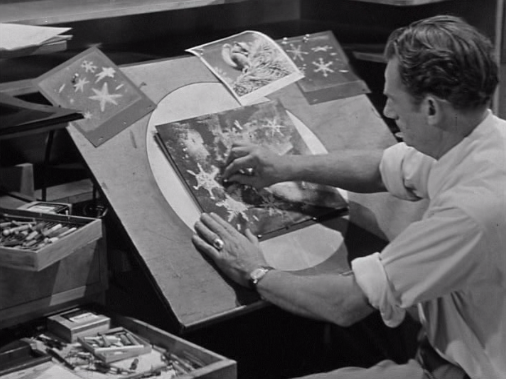 Many of these innovations were created in house at the Walt Disney Studio. Problems with focus, zooming, and film exposure was just the tip of the iceberg. The filming of squirrels in general was no easy task. “…Squirrels are very apt to move around pretty fast, and be totally out of focus in one second flat…,” shared Roy E. Disney. What eventually made filming on Perri a bit easier was the availability of a 16-mm Arriflex camera in the U.S. during production. This camera allowed the photographer to look through a lens while filming, which made it easier to keep focus on a moving animal. …in talking about the underground deal in the making of Perri the squirrel…we built the burrow and we put glass in front of the burrow, on the cut-away of the burrow, so the camera could see it, and put a black curtain over that…Then we exposed the black a little every day until he [the squirrel] became used to it and…[the] lights. Well, he could have cared less. In two days’ time, he didn’t care about the lights and the camera…we finally took the glass away. And he would come and go and get his nuts and make his little nest and we filmed all of that…It was amazing. ...it happened that a big lightning storm came through and set off a little fire, which fortunately wasn’t very big…We all went running down there and tried to help put it out, but we also brought all our cameras and shot a lot of footage. One of the reasons that we spent so much time and effort was trying to quite literally shoot to a script. But you don’t shoot to a script, you sort of wait until something happens that sort of vaguely matches the script...the film wrote the script for you. 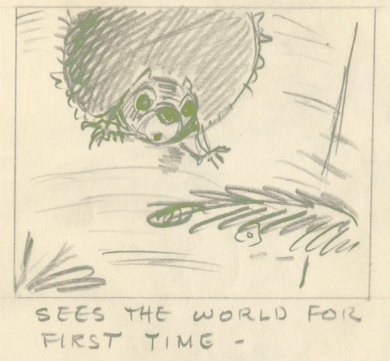 Although a lot of storyboarding was created by Ralph Wright (as shared earlier in this article), a lot of the footage captured did not match up. 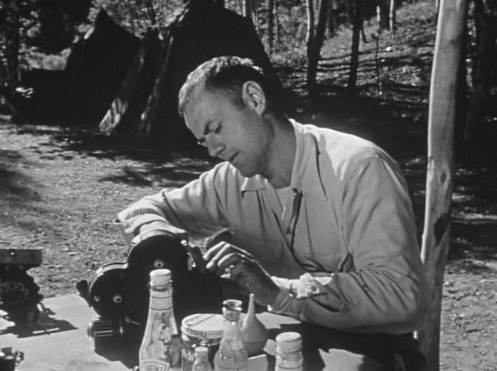 The magic of editing by Jack L. Atwood would become vital down the road after filming. An article from the Murray Eagle gives the address of Wasatch Enterprises as 5280 S. Main Street. 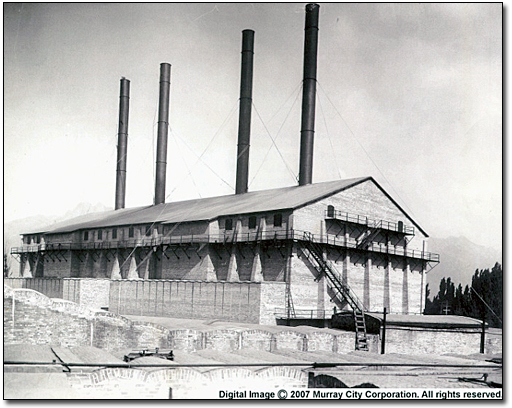 Using Salt Lake City Directories I was able to find that the Murray plant of the American Smelting and Refining Company was located at 5250 S. State Street at the time that it closed in 1949. As these addresses are in very close proximity to each other and this smelter had only recently closed, it is reasonable to assume that the American Smelting and Refining Company's Murray plant was the one Disney used for filming. Thus, the photo that you found does show the correct building (see below). When one watches Perri, they most definitely can tell which scenes were shot in nature versus those shot within the Murray building. 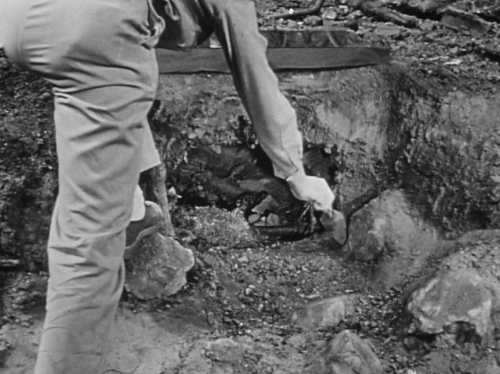 Nevertheless, the most cinematic of scenes were captured on interior sets. 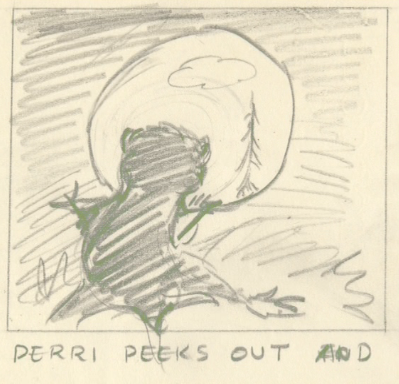 One of the most memorable was a winter scene conjured by Perri in a dream during hibernation. 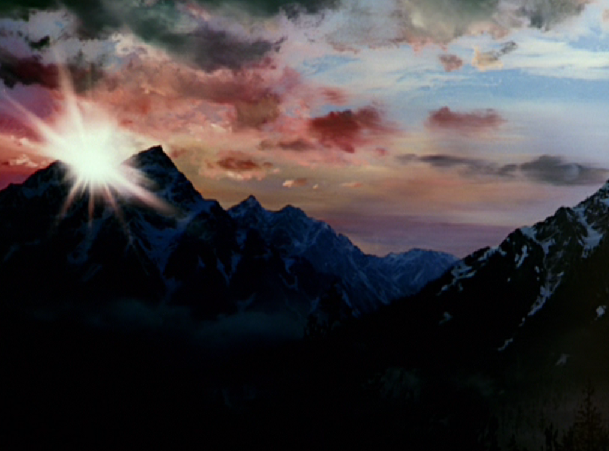 The lighting, set design, and Paul Smith's score and haunting choral arrangements made for an ethereal experience. 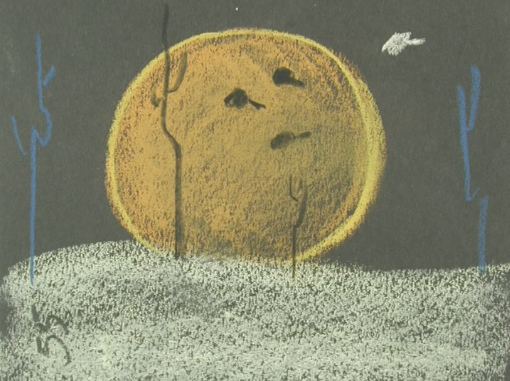 It is a sequence in the film that involved animation created by effects animator, Joshua Meador. 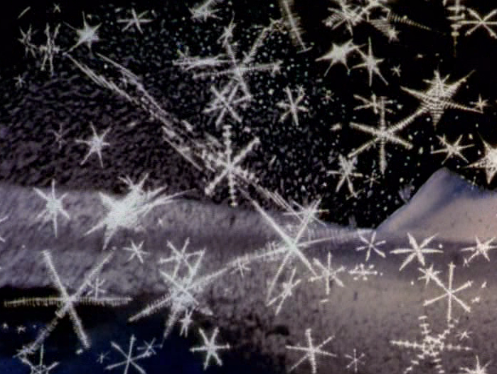 Meador's expertise lent itself to animation of water effects, bubbles, clouds, and in Perri's dream sequence, snowflakes and sparkle effects when animals, such as a snowy owl, morphs into a scene (An interesting note for Disney history buffs: Meador had an assistant named James Lewis who worked with Meador on Perri for seven months. Lewis was hired by the Studio in August of 1955 as an inbetweener. A post on his life and career will be coming in March!). To add to the whimsy of this winter sequence, the Walt Disney Studio designed and sent a full moon to the Murray building. 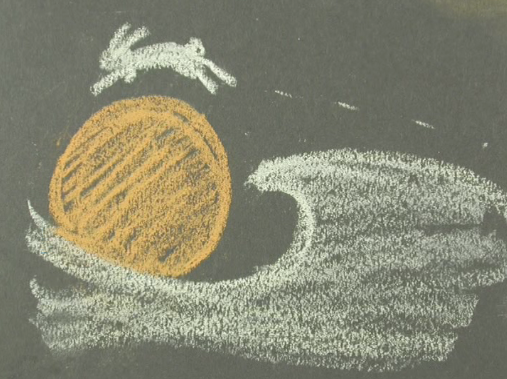 It is prominently displayed in several scenes in Perri's dream. 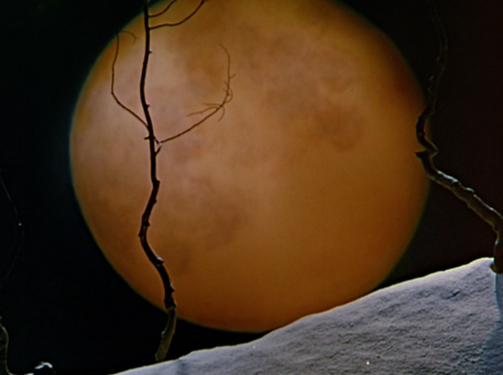 In the opening of the dream sequence, flying squirrels cascade in front of the moon while sparkly Meador effects follow behind in their wake. 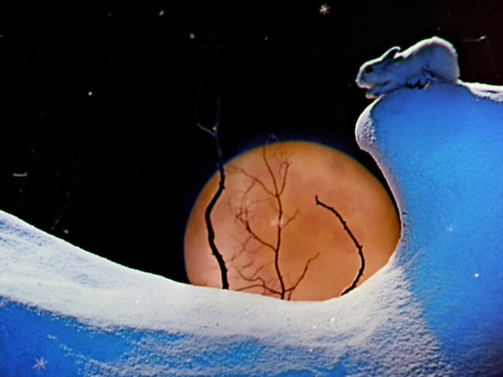 The Studio moon is used quite effectively in a shot where a snowshoe hare leaps in front of it from a snowy ledge. 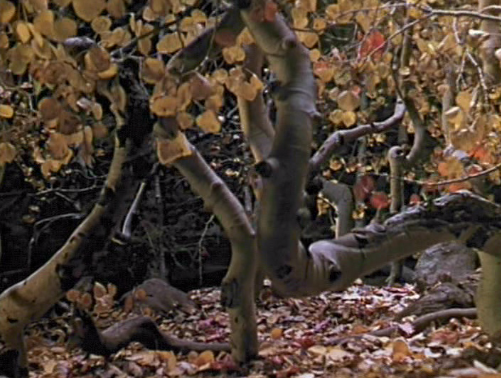 A brief sequence also filmed on a Murray set captures Perri the squirrel in the autumn season. After evading a close encounter with a bird of prey, the squirrel falls from a tree, rolls down an embankment of autumn leaves, and looks up in a daze. As the little squirrel inspects her environment, she finds herself in a haunted wood surrounded by twisted aspen trees. 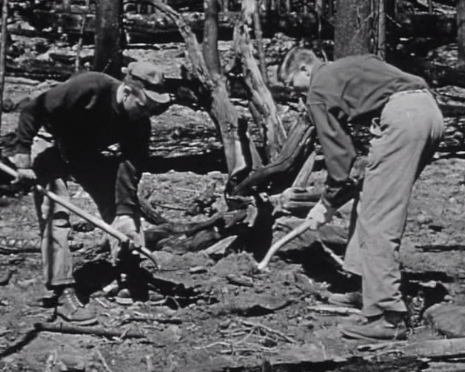 The twisted trees themselves were personally fetched by Roy E. Disney. 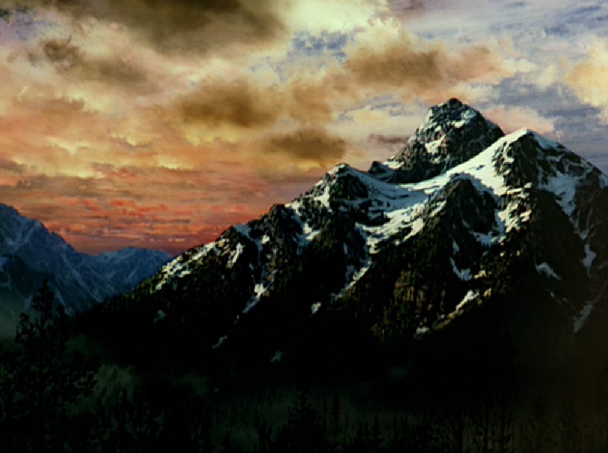 Co-director Kenworthy told Disney to go up into the mountains to find these particular trees that Kenworthy had seen in passing. Disney explained that the trees must have become damaged during an avalanche, and grew in a disfigured fashion. The use of these gnarled trees, however, made for a great effect and set the tone perfectly for Perri's creepy encounter. 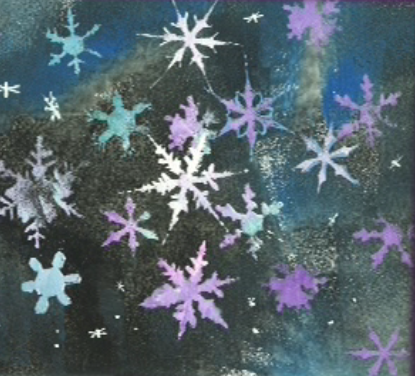 In addition to animation effects, beautiful paintings were also created for the opening scene to Perri. 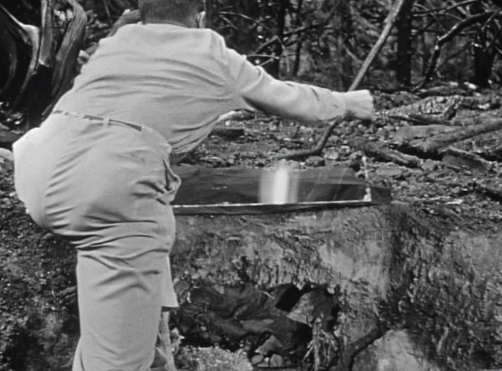 Any doubt of this film being produced by the Disney Studio is put to rest as the sun rises on the mountain surrounding the little pine squirrel's forest home. Exquisitely rendered by legendary Disney matte artist, Peter Ellenshaw, the paintings pictured below are a feast for the eyes, and if put side-by-side, represent the grandeur of this Ellenshaw masterpiece. In the end, Perri is a great little film, and the only True-Life Fantasy that Walt Disney would ever produce. It premiered on August 28, 1957 to favorable reviews. Quality being something that the Disney name always strove for, no expense was spared on the production of Perri. 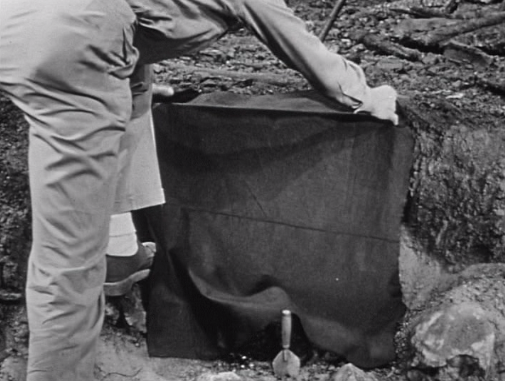 The camera crews were given an endless amount of 16-mm film to shoot until all necessary footage was captured. 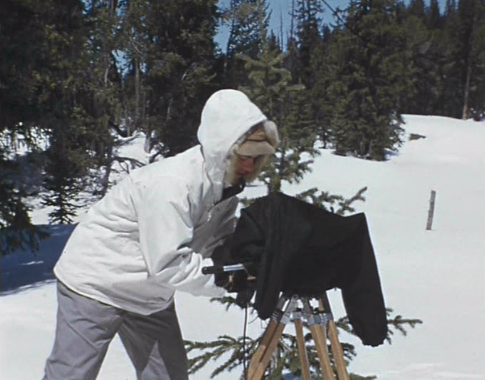 When more footage was needed after nearly two years of filming, Walt Disney gave the thumbs-up to go back into the field to shoot more. 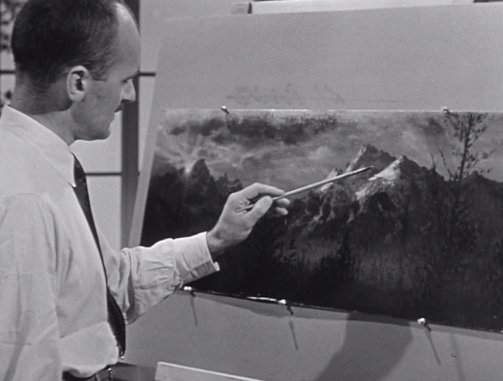 The end product is a supremely edited film, with riveting footage of nature, great set designs and animation effects, and all supported by a delightful score by legendary film composer, Paul Smith. Although there are aspects of the film that have aged in the forms of song and narration, the overall presentation is satisfying, at times suspenseful and sad, and pleasing to the eye. Better yet, and to perhaps honor Felix Salten's original story, a deer portraying Bambi as a regal prince makes an appearance towards the middle of the film with his offspring around him. 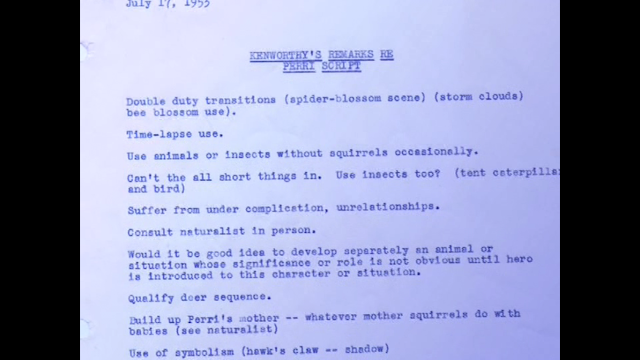 When reviewing story notes from Perri, Walt Disney himself is noted as saying: "To do this thing, we should mention Bambi...We are using his story as a springboard." And so, the creation of Perri the film comes full circle to its humble beginnings, as so many of Disney's greatest stories often do. Many of the images in this post are screenshots taken from Volume 4 of the True-Life Adventures DVD set released in 2006.